"To provide the highest standard of biomimetic dental care under a microscope at the most reasonable fee to the patient without third party interference." YOU ARE NOW ENTERING THE "NO CROWN ZONE"
Click on These Links to Find Out More on Biomimetic Dentistry. When you visit our office, conserving your tooth structure is our top priority. Our entire team is dedicated to providing you with minimally invasive 0% removal of your healthy tooth structure by using cutting-edge Biomimetic Dentistry protocols. 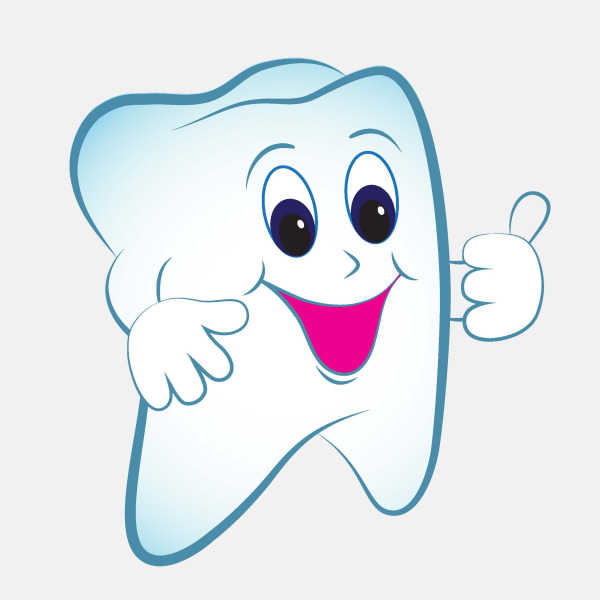 Our patients retain 100% of their healthy tooth structure. This is in contrast to conventional dentistry utilizing crowns that remove 75% of a patients healthy tooth structure. It is the new age of dentistry that Dr. Bial and his patients have named BioDentistry™. 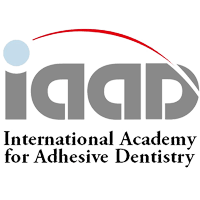 Dr. Bial is a member of the Academy of Biomimetic Dentistry, Academy of Microscope Enhanced Dentistry, International Academy of Adhesive Dentistry and practices minimally invasive microscope enhanced dentistry at his office. Dr. Bial is a Master Instructor for Alleman-Deliperi Centers for Biomimetic Dentistry. Dr. Bial continues to lecture internationally on the subject of Microscope Enhanced Biomimetic Dentistry. He is keenly aware of how the health of your mouth affects your total body health. Dr. Bial is a graduate of the prestigious Las Vegas Institute and has advanced of training in periodontics, orthodontics, and oral surgery in addition to his experience in general dentistry in the United States Navy. Our practice located in Bremerton WA offers comprehensive services for your entire family. We are proud to offer the latest technology in tooth conserving Biomimetic Dentistry including being able to enhance the confidence in your smile with Invisalign™ braces, or the placement of dental implants or porcelain veneers. 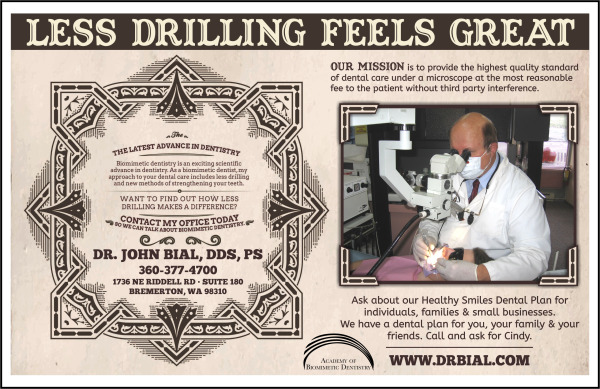 Dr. Bial is the dentist of choice if you are needing cosmetic dentistry to enhance your image. He can offer you a free consultation to discuss the best treatment options. We welcome new patients from Bremerton, Silverdale, Port Orchard and the greater Kitsap County area. Please browse through our website and be sure to give us a call if you have any questions or would like to schedule an appointment. Part of our commitment to serving our patients includes providing information that helps them to make more informed decisions about their oral health needs. This website is a resource we hope you’ll find both useful and interesting. We hope that you will use this website to learn more about the many procedures offered in our office. We invite you to view our dental video library.